THE Australian divers who played a crucial role in the Thai cave rescue have opened up about the dramatic rescue that was "beyond (their) imagination". 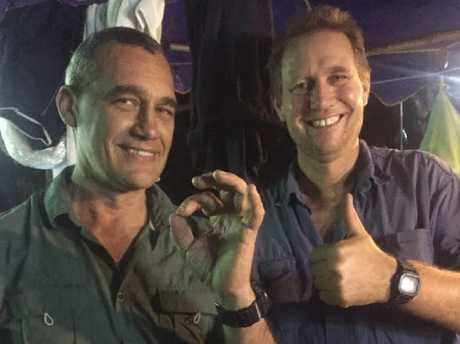 Expert cave diver Dr Richard Harris and his friend and fellow diver Craig Challen's incredible efforts in the Hollywood-like mission to save the trapped Thai schoolboy s have seen the pair celebrated as Aussie heroes. 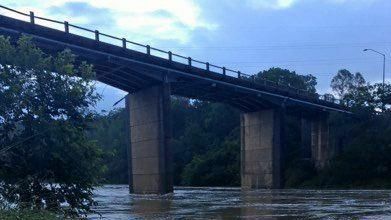 "The favourable outcome that has been achieved is almost beyond our imagination when we first became involved in this operation," the pair said in a statement. 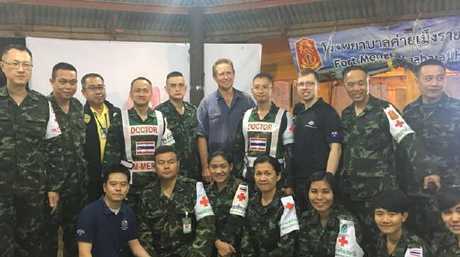 "We are humbled to have been able to provide our expertise and experience to assist in this international operation led by the Thai government." Called the "Formula One of diving" by some in the diving world, the Aussie group, known as the Wet Mules, also features retired Perth vet Mr Challen, who also played an integral role in the cave rescue that captivated the world. "As a large part of our chosen pursuit of cave diving seems to revolve around ferrying heavy objects in and out of caves, submersing ourselves in frigid waters for many hours and generally abusing our bodies in a multitude of ways, we were beginning to take on the persona of the wet mule itself!" the Wet Mules website says. "Stubborn, strong of back and oblivious to pain: These are the qualities of the exploration cave diver!" According to the Mules' website, a tight bond has been formed between its few members as they "lurch from crisis to crisis" - using their high-level skills, top-of-the-range equipment and passion for exploration to conquer the toughest challenges. The name comes from southern American expression "enough money to burn a wet mule" and relates to their philosophy - that if you throw everything you've got at something, you can overcome the most difficult problems. They have built a formidable reputation for their daring dives at some of the world's most dangerous caves, including Cocklebiddy Cave in Western Australia and the Pearse River on New Zealand's South Island. "Like most divers, you tend to get used to a particular diving partner," Dr Strike said. "Telepathy almost comes into play. You become very comfortable with a particular dive buddy - you know how they're going to react in a certain situation." "We particularly would like to thank the players and their coach for placing their trust in us. We wish them a speedy recovery," they said. Speaking on Wednesday via Skype to Malcolm Turnbull, Dr Harris brushed off the Prime Minister's praise. "The big heroes in this are the children and the Thai Navy SEALs who were looking after them," he said. "They are the toughest blokes and kids I have ever had the privilege to meet and without them being in the state they were in, we couldn't have done anything. That's where the credit lies."